ChinUP professional learning events are two-hour after school ‘open’ workshops, hosted by primary schools across NSW and the ACT. ChinUPs are designed for teams of up to eight educators and are open to teachers from any sector and any school. A great ‘top up’ to your professional learning plans! Audience: Classroom teachers, learning support teachers, casual teachers, mathematics/numeracy leaders, executives. Mathematics is a language that requires knowledge of concepts and skills, and the ability to interpret words, symbols and graphics. However, many students struggle with knowing how to use what they know when faced with unfamiliar problems. 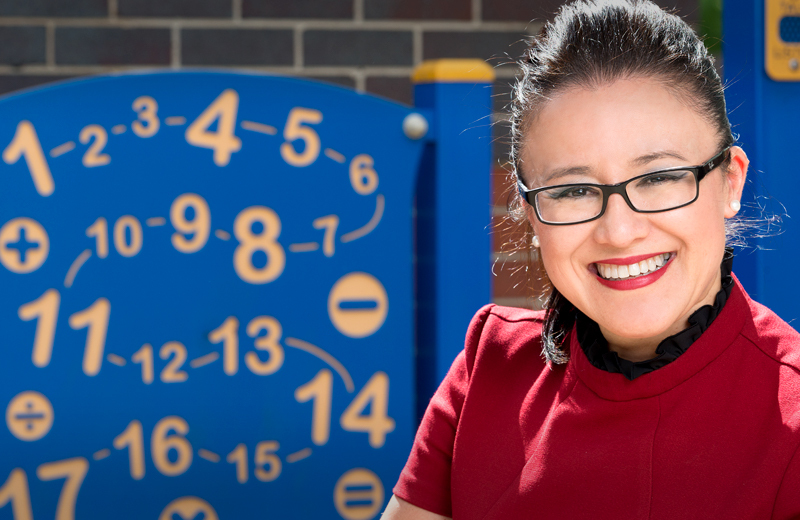 This hands-on workshop presented by Anita Chin will empower educators with tools and strategies for a whole-school approach to using the language of mathematics during whole-class differentiated instruction. • Singapore bar model picture cards and concrete materials to interpret word problem types and operations. • Where is the language located in the NSW Mathematics K-10 Syllabus? • What prior and new language is needed for your week of teaching? • How are particular words used in NAPLAN tests? • How will evidence of students’ understanding be gathered? Blackline masters and links to resources provided. There are currently no events scheduled for this ChinUP course. If your school is interested in hosting a ChinUP, please contact us. Completing ChinUP K-6: The Language Demands of Multiplication & Division Word Problems will contribute 2 hours of NSW Education Standards Authority (NESA) Registered PD addressing 2.5.2 and 6.2.2 from the Australian Professional Standards for Teachers towards maintaining Proficient Teacher Accreditation in NSW.